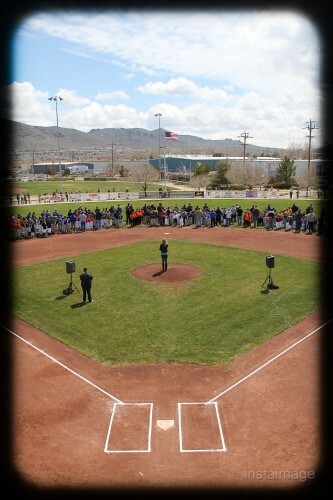 Opening Day for Carson City Little League!! Photos inside today in the new indoor facility! This photo is from a top the Field 2 Press Box for the “league” photo… this during the national anthem… I’ve talked about this before… this is one of the greatest things, hearing the National Anthem, the flag flying in the background, the beautiful horizons we have here… God Bless all those that make all of this possible… What a Country! Previous Previous post: Whittell Softball today… the wind didn’t blow us away!